This french bread pizza post is sponsored by Crystal Farms Cheese® but the content and opinions expressed here are my own. 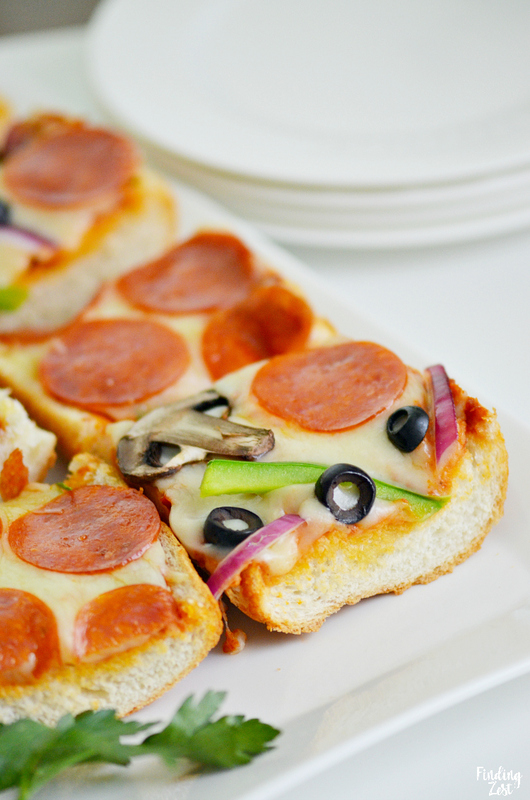 Recipes like this french bread pizza are a must for back to school season. The transition to new schedules is tough but dinner is the time we can all come together and discuss our day. 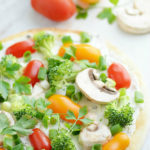 I love easy weeknight meals that I can throw together fast and this bread pizza certainly fits the bill. In less than 20 minutes this can be your dinner tonight or tomorrow, or whenever you have a craving for pizza. 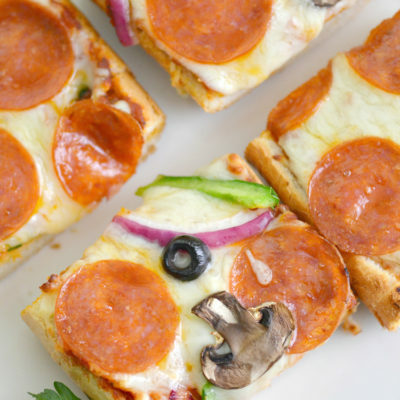 There are a few key ingredients needed for this french bread pizza recipe, but most of it can be switched up to suit your family’s tastes. Even if everyone wants something different, you can offer a variety of toppings and let everyone build their own! 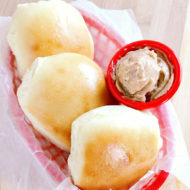 For this recipe, you’ll need some french bread for your grocer’s bakery. You’ll also want to pick up those favorite pizza toppings and new Crystal Farms® Whole Milk Mozzarella Cheese. 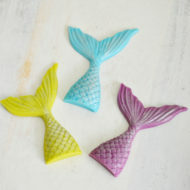 Have you seen this new product? It has a butter-rich flavor and awesome melting ability which is perfect for pizza! Plus it is made by cheese lovers, for cheese lovers. 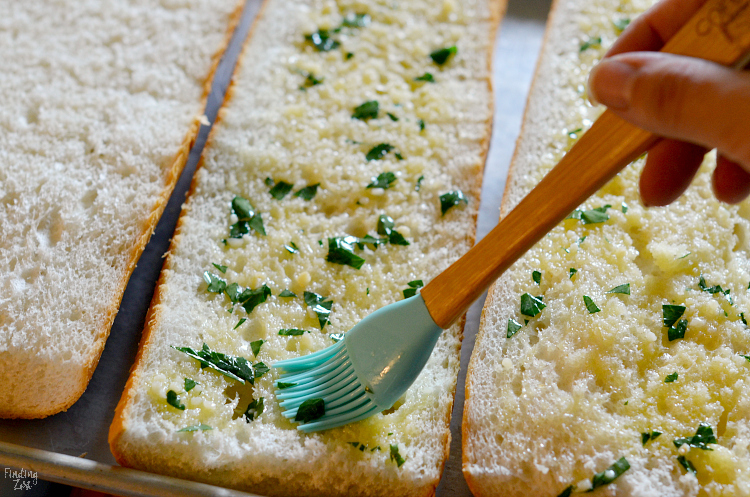 While it isn’t technically necessary to add the melted butter with garlic and parsley, it adds so much extra flavor. It also softens up the bread and makes it more enjoyable. I’ve tried it both ways and the garlic butter wins hands down. 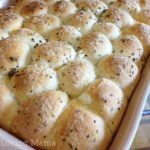 If you love bread recipes be sure check out this cheesy bacon pull apart bread. I topped my bread with 3 cups of mozzarella cheese. If you like yours really cheesy you can add a bit more. 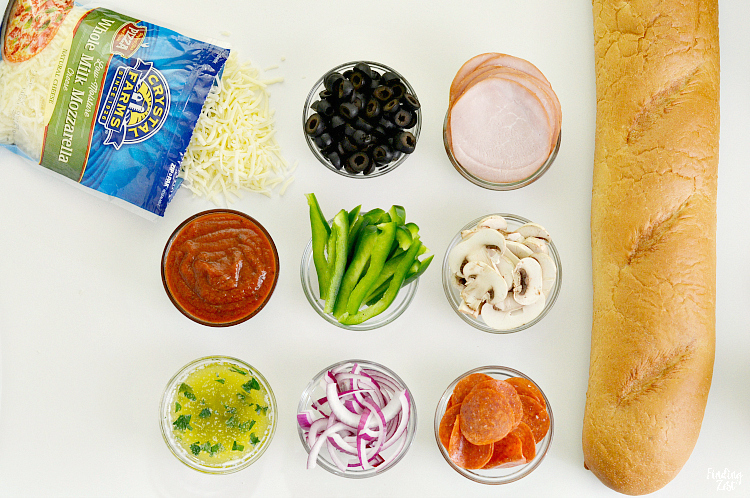 Any of your favorite toppings go on next. We love Italian sausage but I skipped that since cooking it would have been an extra step I didn’t want. If you stick with precooked meats like pepperoni and Canadian bacon, you can save a lot of time. 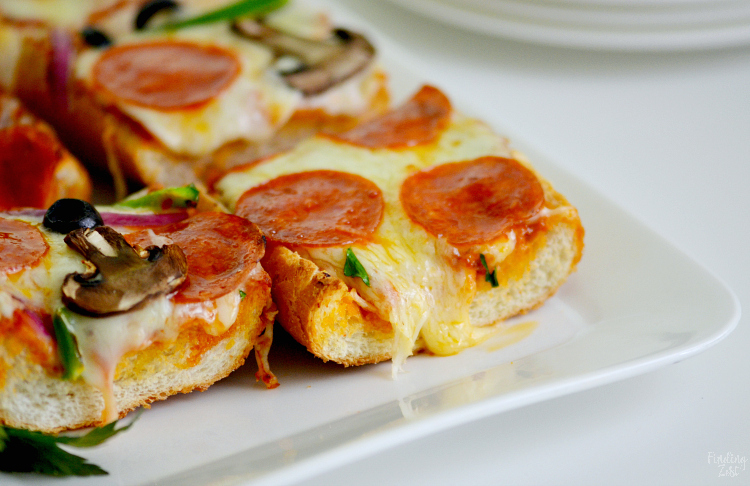 These french bread pizzas can be put together in the time it takes for your oven to preheat. 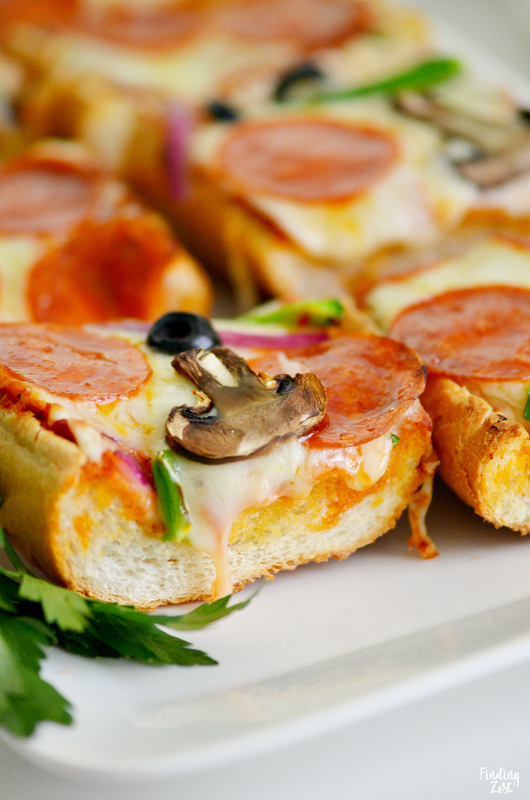 My kids went nuts over this french bread pizza recipe and it is just so simple to prepare. If you really love sauce you could add some extra pizza sauce on the side for dipping. Yum! Slice french bread in half the short way. Then cut each half lengthwise so you have four open face pieces of bread. Place bread on large baking sheet. In small bowl stir together melted butter, garlic and parsley. Brush over tops of bread. 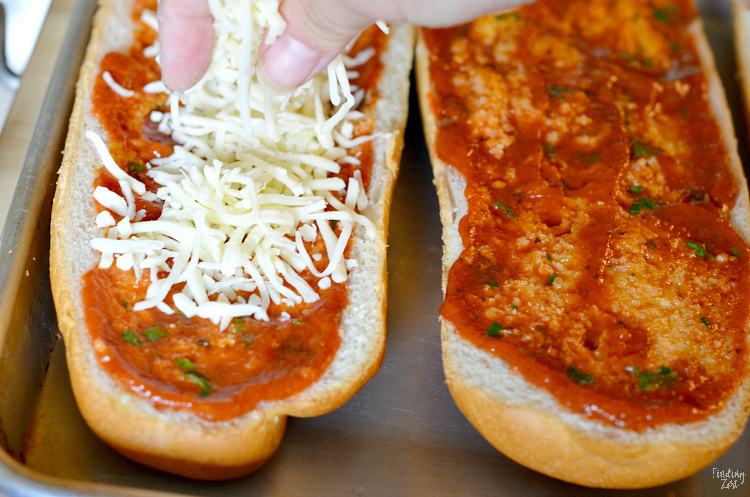 Spread pizza sauce over top and sprinkle with mozzarella. 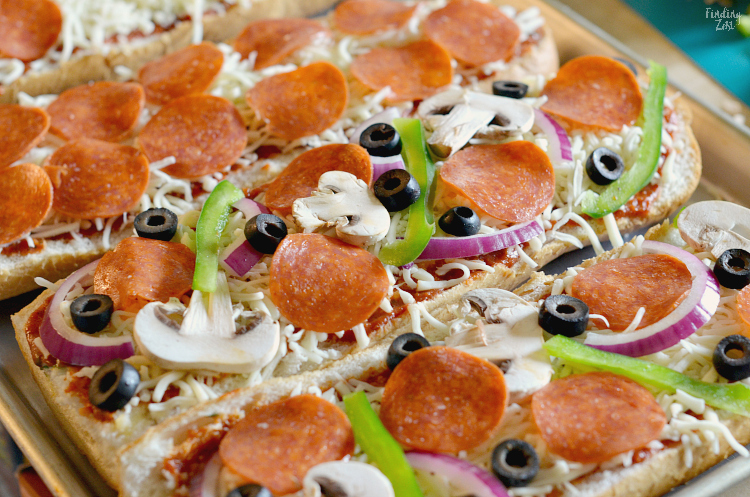 Add your favorite pizza toppings such as pepperoni, black olives, onions, mushrooms and green pepper. Bake for 8 to 10 minutes or until cheese is fully melted and bubbly. 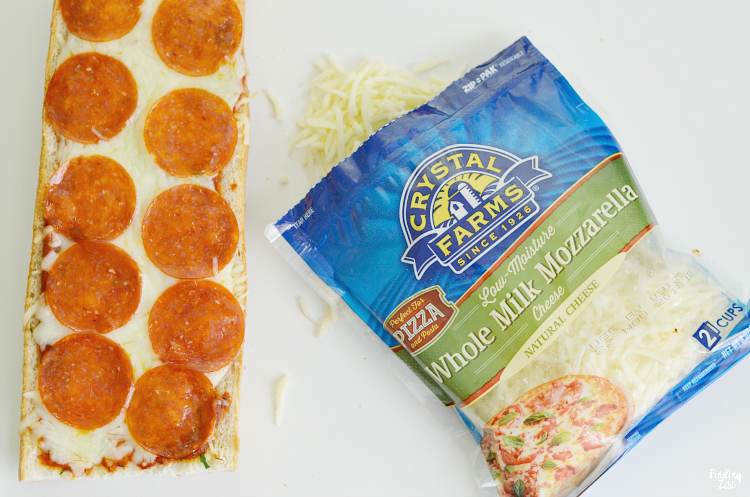 Look for Crystal Farms Whole Milk Mozzarella in the refrigerated section of your local grocer. It is a natural product with few preservatives, a rich source of calcium and gluten free making it a great addition to your mealtime arsenal. 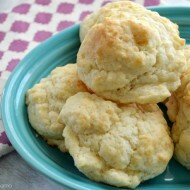 For more great recipes with Crystal Farms Cheese be sure to click here! Win 3 free Crystal Farms product coupons just by commenting on my post below. To enter: Tell me your favorite meal that includes cheese. Mouth watering. Grocery shopping this afternoon forr bread and mozzarella? I often do a easy snack of toast with sundried tomatoes and mozzarella. Fast and so comforting. I often do an easy snack of toast with sundried tomatoes and mozzarella. Fast and so comforting. Homemade Mac and Cheese for the win! My favorite meal with cheese is lasagna. My favorite meal with cheese is Chicken Parmesan. My favorite meal with cheese has got to be pizza! Homemade, or delivery! That pizza looks SO good! My favorite meal with cheese is spinach lasagna roll ups. The tom & cheese grilled cheese sandwich with tons of bacon and bbq sauce! I love French onion soup with provolone cheese. 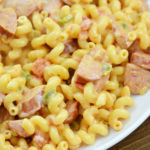 Baked Mac & Cheese with ham chunks…what can I say, I’m just a simple guy with simple tastes…entranced by comfort foods! Homemade pizza is the best cheesy dish! I make a veggie lasagna that is loaded with cheese! The best dish that I make with cheese is lasagna. I always make it extra cheesy! 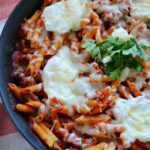 I love baked ziti the best! Yummy! I’ve gotta say Pizza is my favorite meal with cheese. Add mushrooms, red onion, and bacon and I’m in heaven! We use a lot of cheese for our meals! 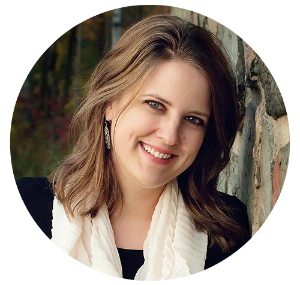 Grilled cheese sandwiches are a family favorite, I prefer to use rye bread for them. My favorite meal that includes cheese is Taco Pizza. My favorite meal is tacos with lots of cheese! My favorite cheesy meal is stuffed shells! Confetti Spaghetti is a family favorite. Been making it for years!! 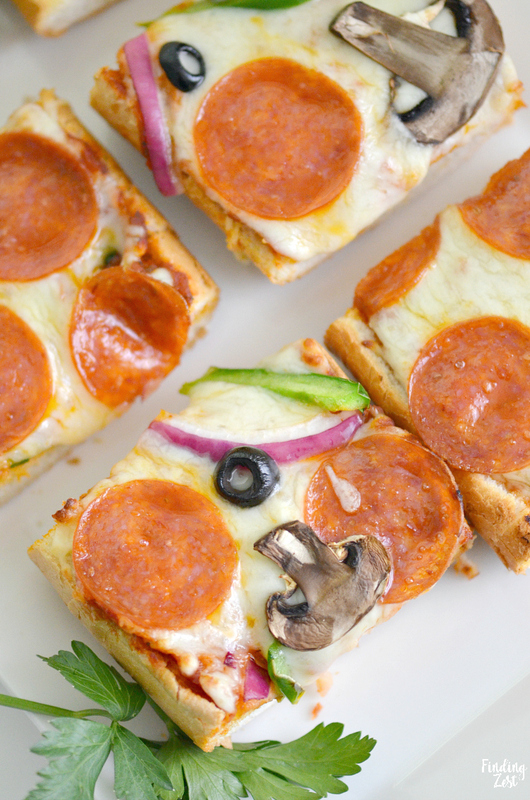 We have been making French Bread Pizza for over 30 years, but for a tasty change we’ll make English Muffin pizza’s. Lasagna makes my toes curl! meatloaf with cheese in the middle is the bomb. my all time fave. It is difficult to pick a favorite meal. I love mac & cheese, lasagna, and homemade calzones with lots of cheese. I add cheese to my Tuna Noodle, and my Chicken Noodle Casseroles! YUM! Thanks and God Bless! My favorite meal that contains cheese is my homemade mac and cheese with ham cubes as a topper. 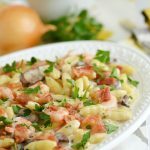 My family loves pizza pasta! Rotini noodles cooked, add pizza sauce, some garlic salt. Mix in some ground hamburger and pepperoni on top. 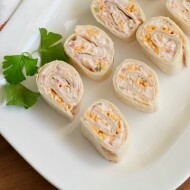 Top with shredded cheese and bake in the oven. Comes out all gooey and so good, my whole family loves it. My favorite meal that includes cheese is brisket quesadillas with monterey jack cheese and jalapenos. My favorite meal with cheese is homemade pizza. I love cheese, so pizza, mac & cheese, quesadillas, grilled cheese, or even just cheese and crackers are favorite meals to me. My favorite meal that includes cheese is manicotti. Our fav is lasagna with lots of ricotta and mozzarella cheeses! Doesn’t hurt to have some garlic-cheese bread as a side too! I love all food with cheese but my favorite is pizza! My family and I love Ham and cheese casserole. 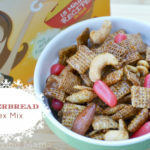 Its homemade and sooo good! My favorite meal that includes cheese is lasagna! So good. I love a nice salad with plenty of Colby Jack cheese on top. I love to make homemade pizza! Grilled cheese sandwiches are my absolute favorite with mac and cheese a close second. I love chicken enchiladas with a lot of cheese.